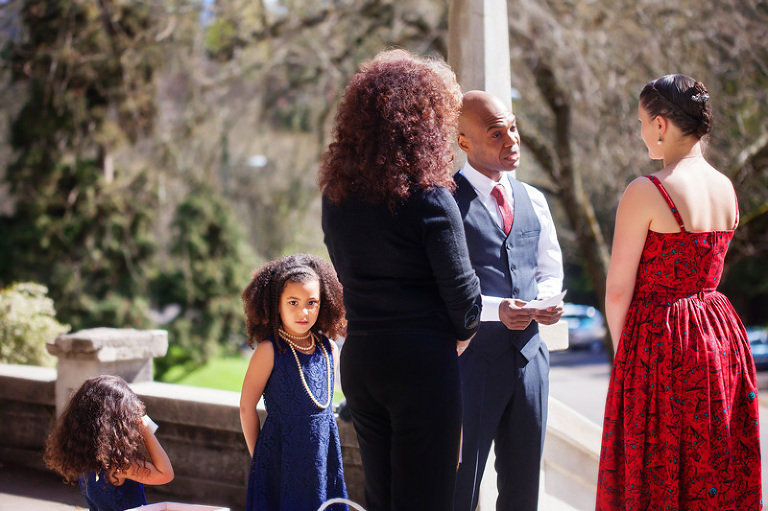 Last week was Spring Break in Bellingham so we drove down to Ashland where I had the honor of photographing my friend Sarah’s wedding, which fell on the 10th anniversary of she and her love, Rodney’s relationship together. 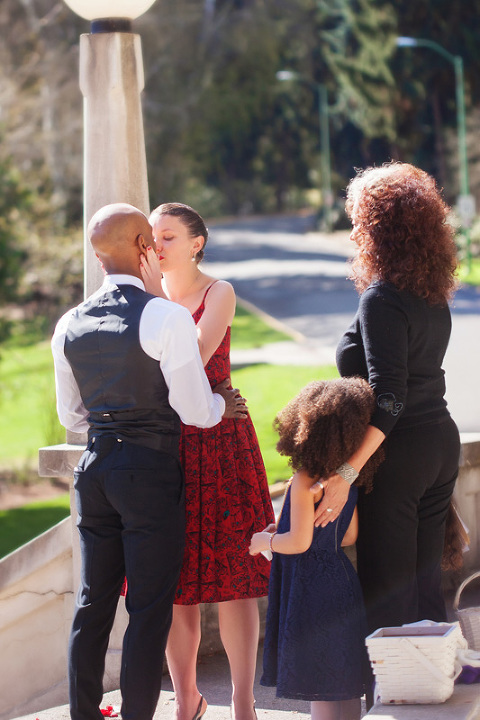 I have photographed Rodney, Sarah, Naiya and Esmee several times before and was thrilled at the idea of capture this moment in their lives, in a place that is dear to me as well, and along side the love of my life, who was filming. 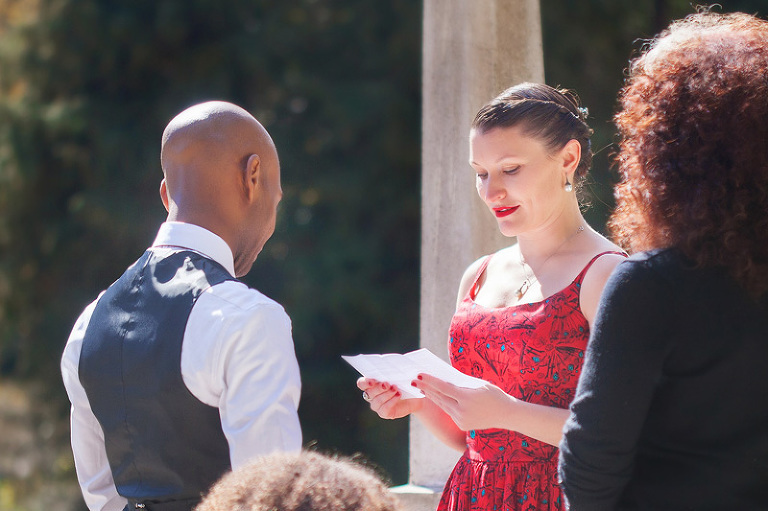 What I had not prepared myself for was the the beauty and realness of the exchange of wedding vows between two people who know- really know what they are saying. 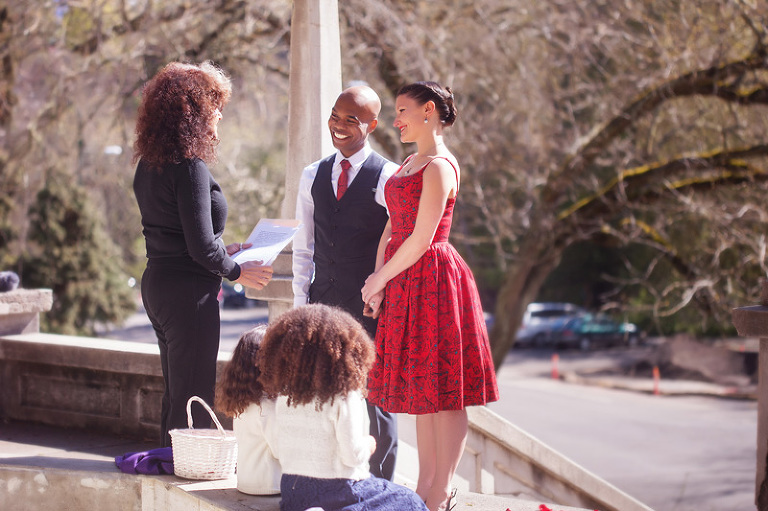 Years ago I stopped booking weddings and began referring them out to other photographers. 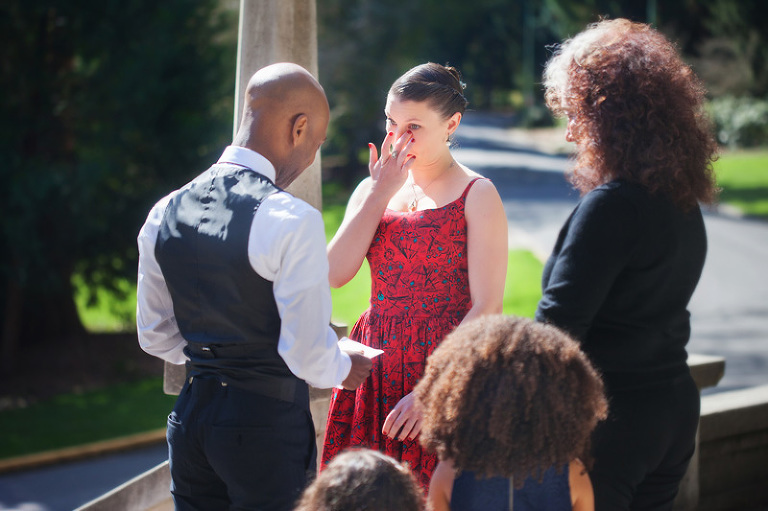 I was beginning to be on call to doula and photograph more births at the time, which was where my heart was and I could not be on call during weddings. I had no problem giving up wedding photography, mainly because I honestly found some of them pretty depressing. When I compared them with births, there was no doubt in my mind that money aside, birth was what I wanted to capture. I remember finally being able to put it into words one day, that with weddings, people can and often do pour a lot of time and money into a wedding to dress something up and make it pretty to impress people, even if what’s underneath, the relationship, is not very beautiful. At a birth, it doesn’t matter if you are rich or poor or who your parents are, birth is raw and beautiful and emotional, regardless or where or with whom it takes place. When I stood beside Rodney and Sarah as they looked into the faces of each other and their two daughters, and I listened to them express their deepest joys and sorrows and how they had been their for each other through two births, and all of life’s highs and lows that had brought them to this day and place-wow. I think it might have been the first time I had heard real live people who had been loving and holding each other through babies and moves and trials and great joys take a breath and plan a time and place to stand up and verbalize their love and commitment so beautifully. I felt like I was watching a really good movie, only it was better, because it was real and I was there. So congratulations Rodney and Sarah for doing life together for 10 years and making a commitment to keep actively loving each other, even knowing full well the kind of scarifies that commitment may take. You two are an inspiration for being loving partners in parenting, working and creating your art together (by the way, I didn’t even get into how amazing wonderful and talented these people are! ).